The only resort permitted in the park. 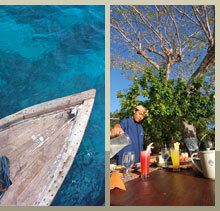 Unspoiled white sand beaches, living coral, crystal clear waters, and the famous diving area of Menjangan Island. 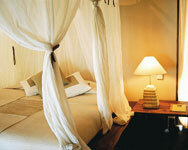 Elegance and comfort in a pristine, natural setting. 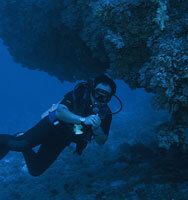 WakaShorea nestles on a protective peninsula, a ten-minute boat ride from the main public area. Twelve bungalows and two villas uniquely designed to exist in harmony with the landscape. A natural setting restaurant and a natural swimming enclosure fringe the wide bay. 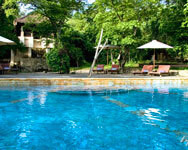 A comprehensive range of activities tailored to the area, snorkeling, scuba diving, nature treks seeking native deer and the silver leaf monkey and quiet picnic on deserted beaches. 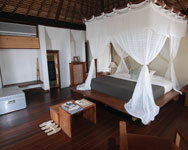 Villa: 2 Villas - have 1 King size bed, 1 living room (convert to bed room), 1 open Bale traditional pavilion. Overhead Fan, Shower, Mini Bar, Shaving Outlet, Tea Making Facilities (On Request), Bath Robes, Coffee Making Facilities (On Request), Mosquito Net, Balcony / Patio, Sandals, Iron / Board (On Request), Music/CD player (On Request), Private Bathroom facilities - Hair Dryers (On Request), Air Conditioner. Diving center (Dive to Menjangan Island), Snorkeling at Menjangan Island or in front of the resort, Sea Kayaking, Sun rise boating, Village tour, Trekking, Hobby Cat. Face TreatmentHair Treatment, Manicure and Pedicure. Swimming pool, Restaurant, Room Service, Bar B-Q area / Beach side, Fire Extinguishers, Fax / Photocopy service, Phone message service, Gallery, Porter, Ironing facilities, Doctor on call, Luggage storage room, Safety deposit box at front desk.